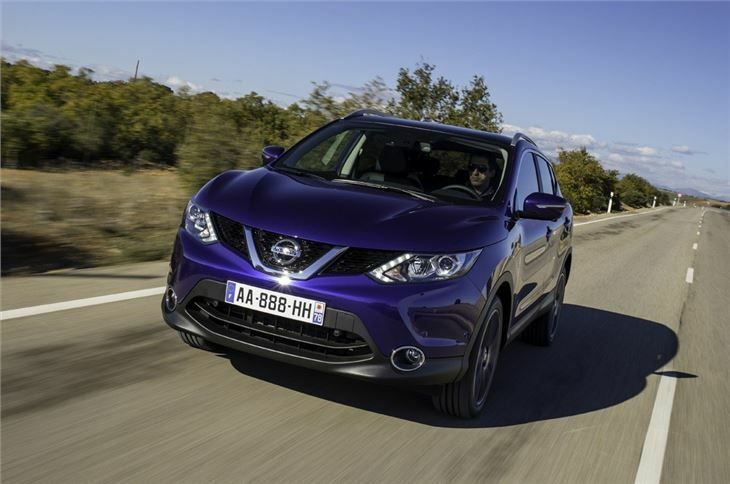 The original Nissan Qashqai saw the birth of the crossover and proved a phenomenal success for Nissan. 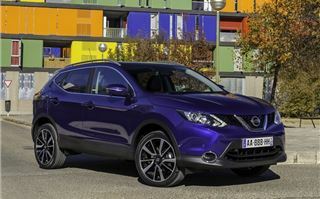 Its practicality, raised driving position and low running costs found a lot of converts, with family buyers swapping their traditional hatchbacks for Nissan's take on a family car. 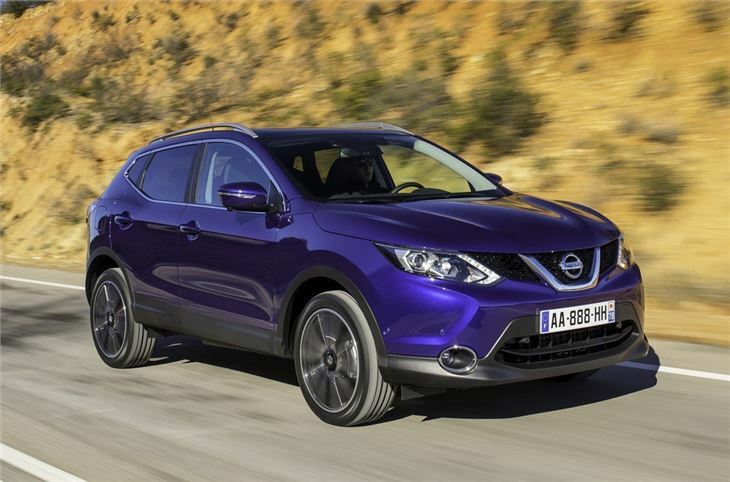 But since the Qashqai was introduced in 2007 the market has been flooded with crossovers from other brands. 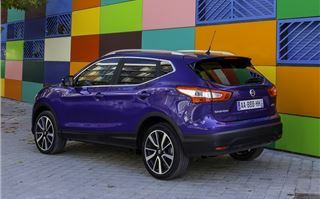 So with the competition stronger than ever, much is expected from the new British-built Qashqai. The second generation version hardly breaks the mould. Instead it builds on the strong foundation of the original. 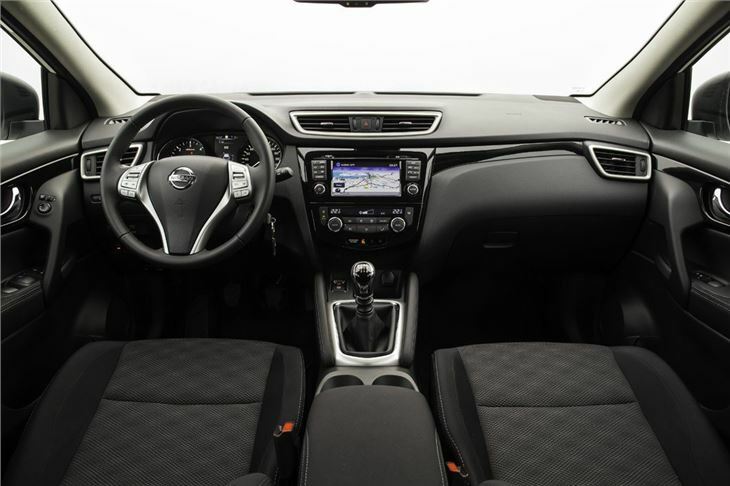 So rather than one big wow factor, Nissan has focussed on improving lots of small elements throughout the car, particularly refinement and interior quality. 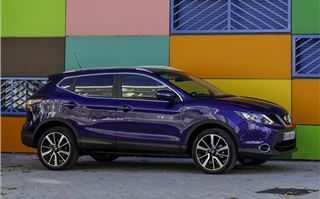 The styling is a real success in our opinion, with a distinctive and premium appearance, although the 19-inch wheels of the car in our pictures do help in that respect. 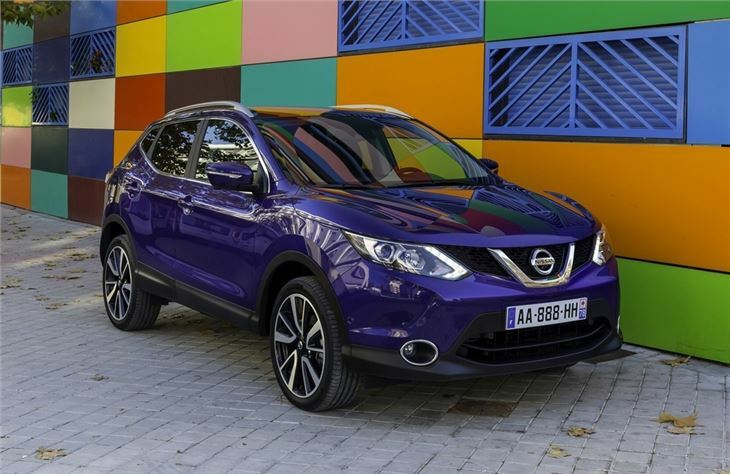 Nissan has pretty much kept the same proportions as the outgoing Qashqai. It's fractionally longer and wider but feels considerably more spacious inside with plenty of room both in the front and rear. 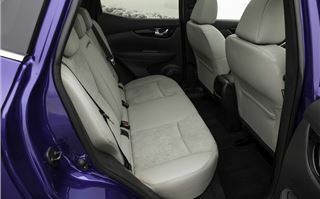 There's more headroom and extra knee space in the back plus the boot is bigger at 430 litres. 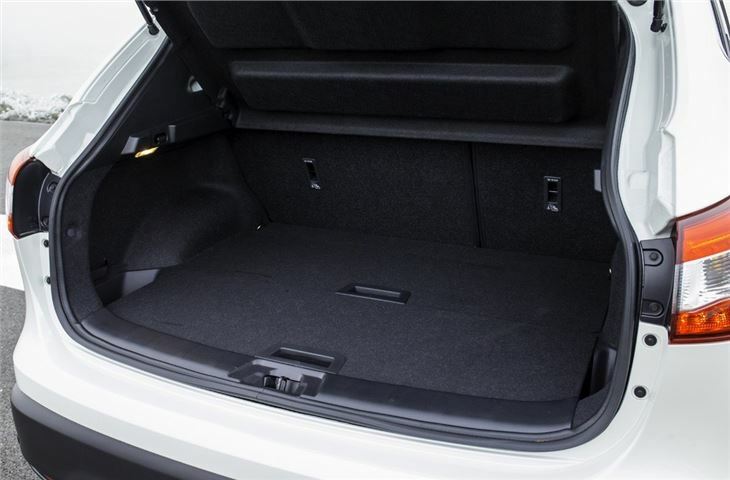 All models apart from the entry Visia come with a clever luggage board system in the boot with a dual floor layout and a dedicated space to fit the load cover beneath the luggage floor, which is useful when you're dropping the rear seats and using the total boot space to move larger things like bikes. The boot floor is also double sided with a wipe-clean surface on one side while the tailgate opens 150mm higher. 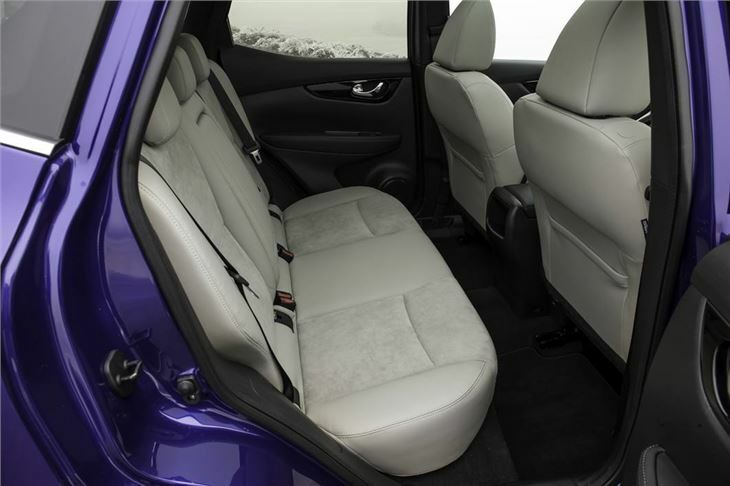 Interior quality has vastly improved over the original with much better fit and finish and a more upmarket feel throughout. It gets all the basics right with solid feeling switches, easy to read dials and simple to use controls while the seats are another highlight. Using techniques inspired by NASA, they've been designed to offer more support with extra bolsters in the lumbar and chest areas, meaning better long distance comfort. There are also plenty of storage areas, helped by the fact that Nissan has replaced the conventional handbrake with an electric parking brake. 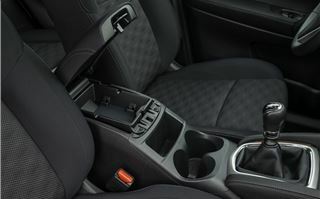 As a result there's more room behind the gear lever with a large cubby box with an armrest on top and two good sized cupholders. All models come with a five-inch colour screen that controls the stereo and nav (if fitted) and it's an easy to use system, although the navigation system isn't the best and can be slow to keep up, for instance on roundabouts. 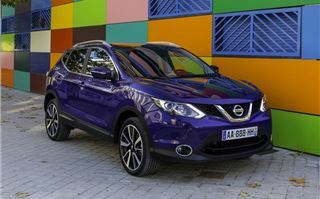 The engine range includes a new-to-the Qashqai 1.2-litre DIG-T petrol – an engine already seen in the Juke and Micra. It effectively replaces the old 1.6-litre and is very smooth with enough pep for around town with 115PS. Thanks to the turbocharger it has 190Nm of torque although it can feel a little flat when you ask for meaningful performance and would struggle with a full load on board. A 1.6 DIG-T with 163PS will be launched in September. The diesels make more sense, especially the 1.5 dCi. With 110PS it's no ball of fire but the 260Nm of torque means it has good in-gear poke making it better on the motorway and when it comes to overtaking. 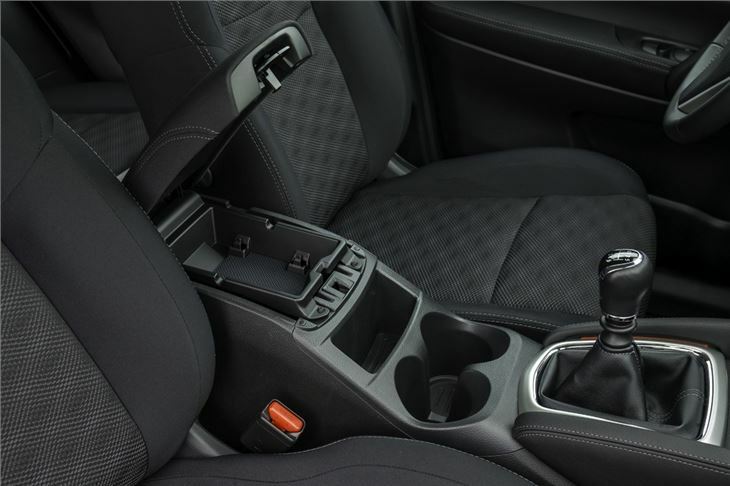 It's quiet, refined and comes with a positive shifting six-speed manual. But what really makes this engine stand out is its efficiency. Average claimed economy is 74.3mpg while CO2 emissions of just 99g/km put it way below the competition and mean zero annual VED. It's our pick of the range. The top engine is the 1.6 dCi with 130PS and an impressive 320Nm of torque. 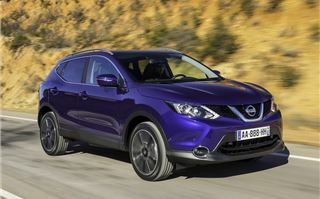 It's the only engine available with four-wheel drive – Nissan expects nine out of ten Qashqai models to be standard two-wheel drive – and the only engine that comes with an automatic gearbox. 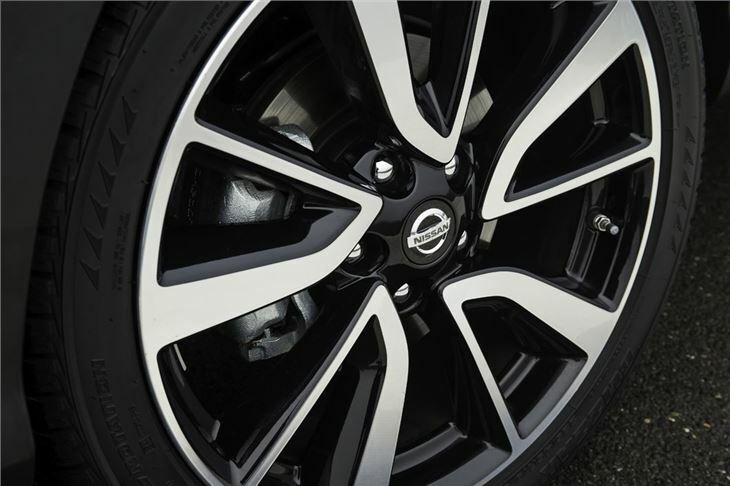 This is a CVT which Nissan dubs Xtronic but has been designed to feel more like a conventional automatic. It actually works pretty well and there's far less of the whine you usually associate with CVT gearboxes, helped by the fact the 1.6-litre diesel is a quiet engine that doesn't really need to be worked hard. But even under hard acceleration, the gearbox copes well and feels very much like a standard multi-ratio automatic. However sceptical you are when it comes to CVTs, it's worth trying the Xtronic, particularly if the majority of your driving is on motorways. 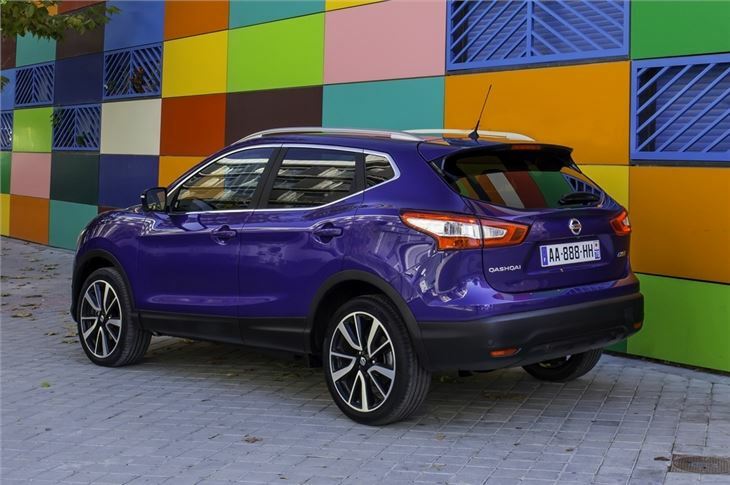 On the road the Qashqai is easy to drive, with the high driving position giving good visibility over the front of the bonnet. It rides exceptionally well too, even on the big 19-inch alloy wheels of the Tekna, and is a very relaxed car on the motorway. At 70mph there's little wind noise, helped by improved aerodynamics, while there's only a touch of road noise at the rear. 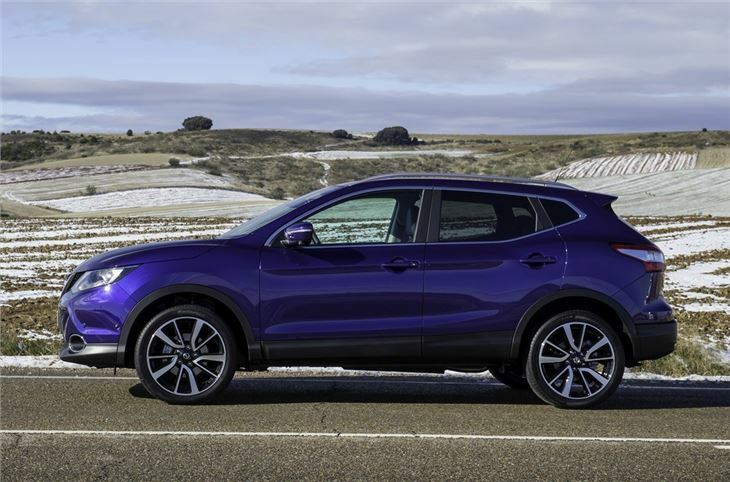 Get it onto a more demanding road and the Qashqai performs with little fuss helped by a well controlled body and nicely weighted steering. Nissan has succeeded in making the second generation Qashqai one of the best crossovers on the market. And considering the strength of the competition that's no easy feat. 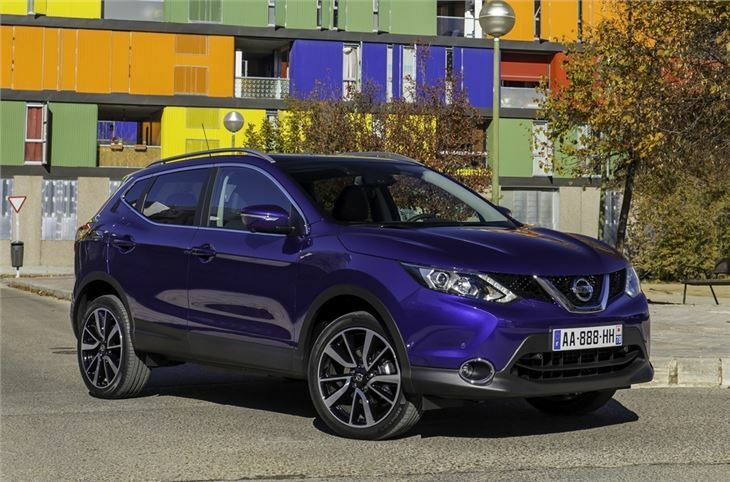 But the Nissan has all the qualities that will appeal to family buyers helped in no small way by a far more premium and quality feel throughout. Prices have risen over the old model - a mid level 1.5 dCi will set you back more than £20k - but it offers far more than the model it replaces. 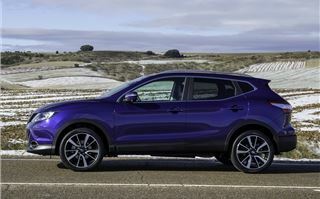 The new Qashqai goes on sale at the end of January.